At this point, project management and collaboration solutions are in a very similar boat to team messaging solutions. If your team isn’t leveraging one, you might be missing out on a huge productivity boost — but the options are also a dime a dozen. Just taking a brief look at our list of Basecamp Alternatives, and your head might already be spinning with question, and we had to trim down our list to focus on our favorite options. 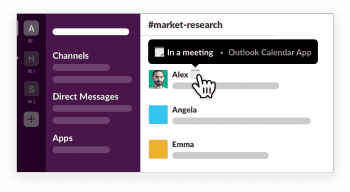 Now, when we talk collaboration tools we don’t necessarily mean just team messaging. More along the lines of project, task, and file management, these collaboration solutions generally bring together same age old practices with modern presentation. Between list based apps or pinboard styled and visual focused options, with so solutions out there, its easy to get lost in the options. And, that’s even after you acknowledged that a collaboration app is the right tool for your team. Some of you reading this still might even be wondering if the investment is still worth it at all. So lets find out — why should your team use a collaboration solution, and then how do you even choose which one is best? The first question I’m sure everyone asks would be why their team would even bother with one of these management and collaboration apps. After all, businesses have been functioning for decades without computers, and even with computers we didn’t need some “app” to manage our projects. We can just use whiteboards to keep track of ongoing projects and tasks, we can use directories to manage our teams, we can use post-it notes on our monitors to remind of us tasks, or just schedule everything to a calendar. Sure, we have pen and paper, or at least some methodology behind our organization. Just like team messaging, there were phones and email before that, or just basic human interaction and conversation in person. Except, we still see a reason to leverage these messaging apps in our daily work, and even personal lives. Collaboration solutions are just the same — they replace our old methods, with one centralized application to help us manage everything. These apps can help us transform the way we work with a new level of efficiency: whether that be a simple list of on going tasks, and who they are assigned to; or a team wide dashboard to track ongoing progress of a month long project, or even a collaborative work space to share and edit documents live. The way we work is changing, everyone is remote, teams are spread out, documents and files are always being shared, and projects evolve over time. Shouldn’t we have a methodology to our madness that is just as flexible as our new work lives? So, the basic idea is to enlist a solution — generally a cloud based web app — that helps your team stay organized, stay on top of the latest information, and collaborate on projects to get work done better, faster and even easier. Sounds great, but how exactly does a web based application help you do this better than and a calendar, a pen and some paper? Well, just about every solution differs slightly in the way it goes about organizing your team and their collaboration — but they all fall onto the same basic concepts. One of the largest benefits here is the instant information, accessible anywhere at anytime. Since these solutions are built in and around the Cloud, just like your other business apps, you can use them anywhere. Mobile apps, desktop apps, or even just web access is accessible anywhere you have a computer and an internet connection — and everything remains exactly how it was the last way you left it. Instead of leaving your planning book in the office, or drawing everything out on that whiteboard you can’t bring around, your entire organization’s planning, task management, scheduling, and collaboration are all stored in the Cloud; and the platform goes where you go. Always stay up to date with what your team is doing, their progress, and even collaborate or delegate in real time. With an always up-to-date collaboration suite available on the go, your team can always be ready to tackle a problem or roadblock as they appear. Instead of just dropping that draft on your bosses desk, or shooting an email and waiting for a response, collaboration apps let you share files or updates instantly, with instant alerts and notifications for the receiving end. This alone should help to improve your business’ response time and agility with one concise platform by which to share updates, submit and even edit drafts, or respond to critical developments in projects. Everything is available on mobile platforms, which only further helps to solidify this agility and flexibility. It would be entirely possible for your team to create a methodology for tracking progress and collaborating that does not rely on a cloud app. Excel spreadsheets can track projects, shared google sheets can even be used to track projects for multiple teams with consistency. But then, everyone has to update their calendars individually, or utilize email or even a team messaging app to share files and drafts — or drop them into a drop box folder. But then you need to email someone to ask about an update or a correction, and the email gets buried, and the file was taken out of drop box. The point is, with so many different solutions its hard to stay on top of everything, and time is wasted just trying to jump through hoops. Wouldn’t it be much easier with just one solution, keeping track of everything in one place, with communication built right in? In the end, all of this works together to help save your business time. By improving your entire process for collaboration and task management, less time has to be spent on micromanagement. With a collaboration solution, everyone on the team can be notified all at once, everyone’s calendar updated instantly and simultaneously, everyone involved in a specific project can receive the same updates or notifications at the same time, and files will stay consolidated and easy to access. The entire point is to save time, and this can be done by improving the way your team collaborates and completes work with the processes these solutions help establish. If you have decided that one of these solutions is right for you, then great. Now, you just need to understand how to find the right solution that works best for your team. Just like in our guide to transitioning to UC, the best place to start is to take a look at what you already have. Chances are, your team is already using a mix of email or even team messaging to communicate, and collaboration is handled during either informal meetings in huddle rooms, or a quick email or chat online. How do teams know what they are working on? How does everyone know what tasks are assigned to them? What is the existing process for tracking and completing work? What is the process for collaborating, and sharing drafts or ideas? How are files transferred, shared, and edited? How are calendars managed and meetings scheduled? From here, decision makers should attempt to inventory the existing hardware or software utilized for collaboration, that being email, messaging, phone calls, video conferencing, or specific solutions like Drop Box for file sharing, or Google Docs for document editing. Understanding what tools need to be replaced will help frame the end decision. 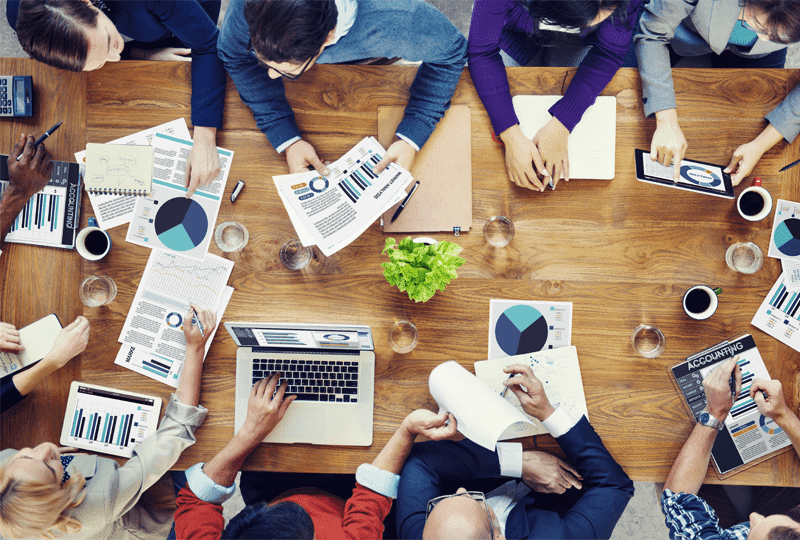 Team collaboration for a large enterprise will look quite different than for an SMB. If you are looking for an enterprise solution, a good place to start would be our head to head article comparing Cisco’s WebEx Teams vs. Microsoft Teams, the two biggest names in enterprise team collaboration software. For businesses of all sizes, not everyone works in the same way, and not every solution handles your collaboration and project management the same way. Depending on the solutions, processes or apps your team already utilizes to collaborate, the chosen solution for each team might differ. Building up an inventory, or a general idea, of how your team already works will help focus the decision to a solution that fits best with what your team already does, or needs to do. From here, decision makers can prioritize different approaches, or even different features the solutions offer — this priority list can help filter out that shopping list. Text, list based project management. Basecamp is known for its “list based” focus, which allows users to generate text based project and tasks lists. Sometimes simpler is better. OR visual, “board” focused project management. This is more along the lines of what Trello does, organizing p projects and tasks into visual “cards” that offer a lot of information at just a quick glance. An activity feed to see who is working on what. Create and share custom calendars that can be synced simultaneously. In depth project management — differentiation between large Projects, smaller Tasks, and even smaller subtasks. Some solutions do not go this in depth in organization. 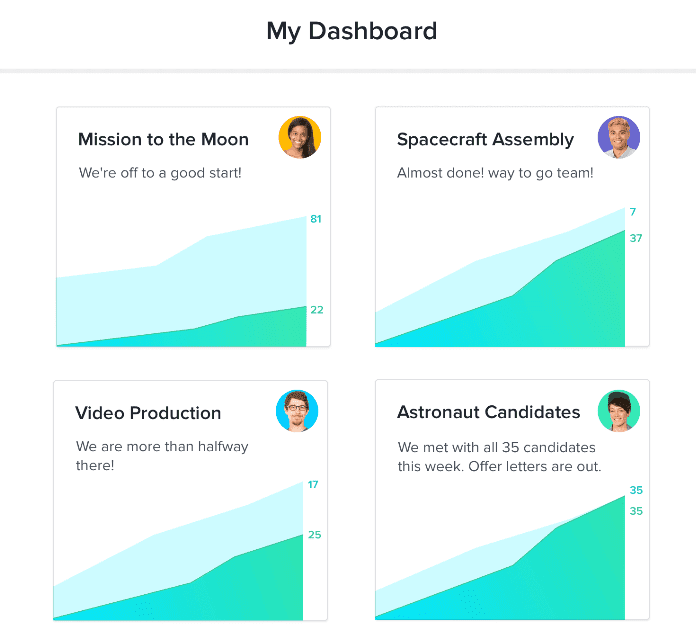 Customizable dashboards — daily, weekly, or project focused “Dashboards” that provide a birds-eye view of the project and progress. Once you understand what your team is already using, and what new features or functions they could use to improve, you can begin to search for the right solution. Knowing what your team needs is just half the process. The second half is then to take that information and shop around for the best solution. With so many on the market, and not an incredibly amount of differentiation, it can be very time consuming and overwhelming to look at them all. When we attempt to collect our list of favorite solutions, we generally focus on a few key aspects. Price is important, but not the only piece of the puzzle. I touched on this above, but its worth mentioning again. Not all apps are created equal, and the major difference you’ll see is in the approach and presentation. 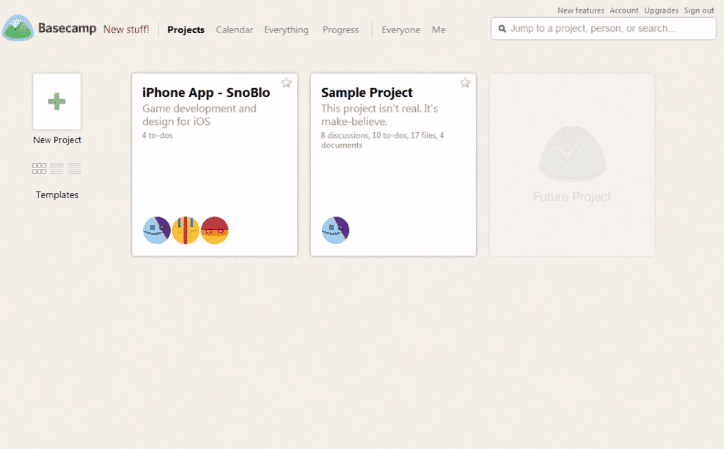 For example, Basecamp is mostly text and list based, meanwhile Trello utilizes “Cards” to help visually organize your projects and collaboration. 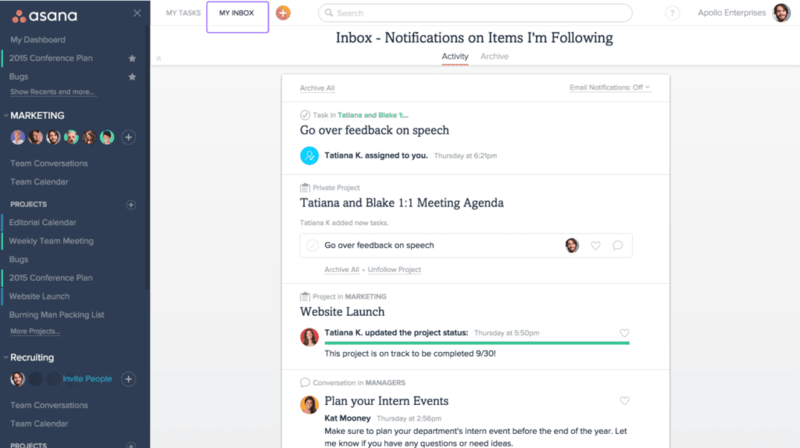 Basecamp falls short and doesn’t allow users to add “subtasks,” meanwhile Asana allows users to go deep and add as many sub tasks as they need. Some solutions will include a calendar, or even team messaging built in, and others don’t. This is why its important to know what your team is already relying on, to find a solution that doesn’t have any gaps in the features and stays familiar to the team. Beyond just the features and functions built in, another equally important aspect is the ability to build out the solution. Integrations, which are powered by the most important acronym of 2017, are all about adding in entirely new features and functions. Usually, integrations allow us to connect one existing solution to another — for team collaboration and project management, that could mean adding in your CRM to keep relevant information handy, or integrating lets say Basecamp into Slack, so that all your project updates are placed into a Slack room, instead of emails cluttering your inbox. At the end of the day, if the solution is complicated, confusing, complex, or just plain hard to use, your team will not want to switch over. The last you thing you need is to spend all of this time and money researching, investigating, and buying a solution just to have no one even bother. To prevent cries of “the old way was so much easier,” the User Experience needs to have a very high priority placed on it. If your team is used to lists, then stay with a list based solution, why add in the visuals and dashboards no one bothers with anyway? Both understanding how your team currently works, and what tools they already use, combined with a testing period will help determine the best solution. These apps usually have trials, or money back guarantees, so use them. As with any major business decision, the cost is of an absolute major concern. If the solution is just too expensive, and your team cannot justify the inclusion, they don’t bother. However, more importantly, is the way apps and solutions are sold. With subscription based models, it is incredibly common to “tier” different packages for different team sizes, or price points. The important aspect here is that different tiers will generally have different limitations. So the basic plan might allow 10 users, but limits your “teams” to 2, and your “projects” to 5, for a hypothetical example. Pay attention to the cost, but also exactly what it is you are getting for that cost. After collecting all the necessary information, and forming an understanding of how your team works, its time to start the search. Of course, the most obvious method is to simply Google for the top solutions . A basic word document or excel spreadsheet can help track all of the relevant options you find, or help organize different priorities. 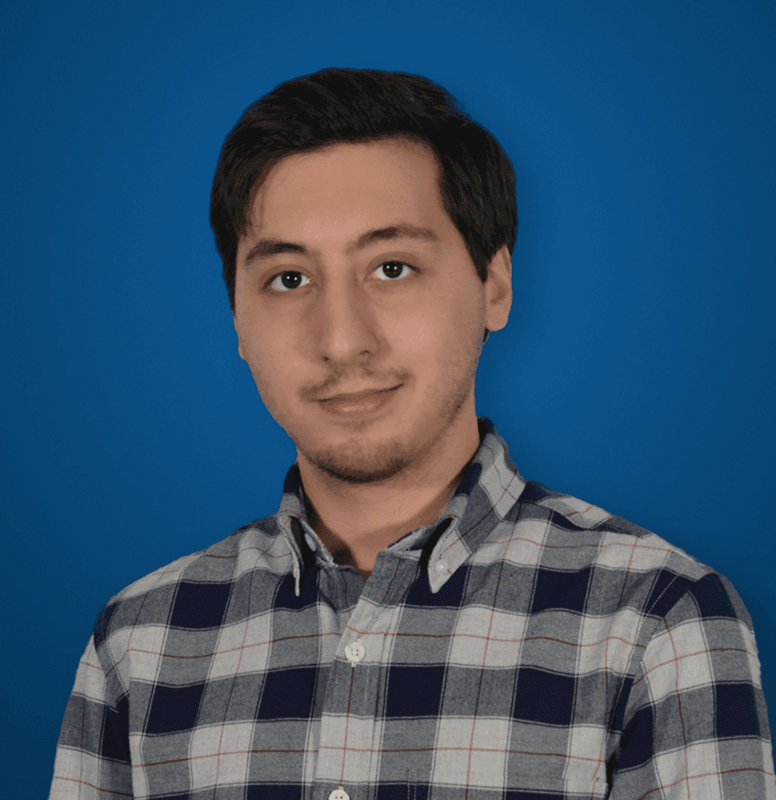 This is similar to what we at GetVoIP do when organizing our provider pages, like our Collaboration solution list, or even some of our posts like the Top Basecamp Alternatives I referenced at the beginning. 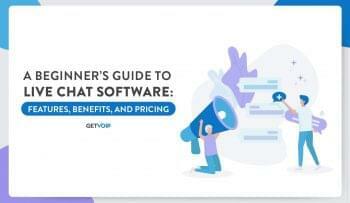 It would be helpful to begin a running list of the features your team needs, or wants, and use that to form a checklist to run each different solution through — this can also help keep track of different pricing limitations on the different features. At the end of the day, however, the real test is to put the solution to the test. Try out different solutions for a week or two at a time, or put two teams onto two different solutions and hear their thoughts after a testing period. You might be surprised just how much more they accomplish in such a short period of time.